The folding coin has been around for a long time and there's a good reason for that. If you've never experienced the sheer astonishment of an audience as they watch a coin apparently pass into and out of a solid glass bottle, you're missing out on what Michael Ammar called "one of the five strongest effects you can do with a coin." 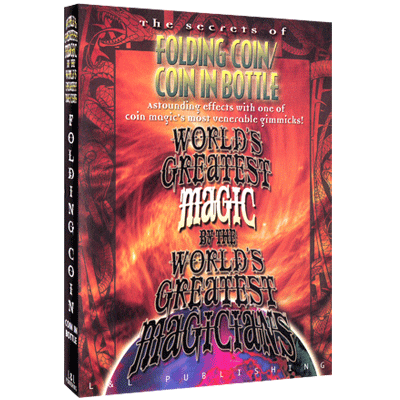 And, on this video, you'll learn everything you need to know to put a folding coin effect right into your "A" list of material.